Central Bureau of Statistics publishes population details ahead of Rosh Hashanah, finding that average life expectancy continues to rise. 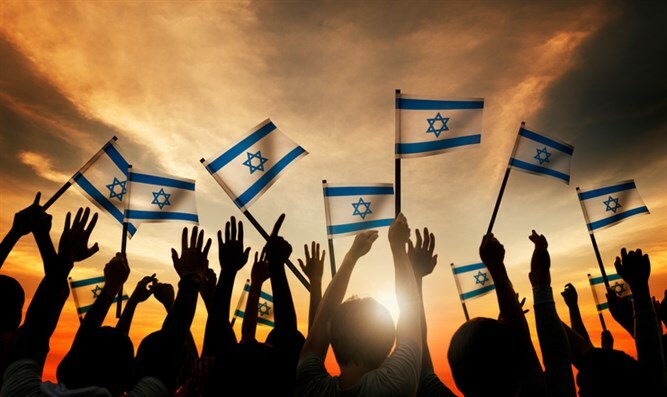 Some 8,907,000 residents live in Israel, of which 74.4% are Jews, 20.9% are Arab, and 4.9% are other minorities, according to data from the Central Bureau of Statistics published today, Tuesday, ahead of Rosh Hashanah 5769. The average life expectancy in Israel continues to rise: the average for men is 80.7 years and remains the same as last year, but the average age of women has risen to 84.6 compared with 84.2 last year. 89% are satisfied or very satisfied with their lives in Israel, while 6% - about 340,000 people - often feel lonely. 37% of Israelis, who constitute 2 million people, are not satisfied with their financial situation and 31% have difficulty covering their monthly expenses. In the past year, 52,809 couples married and established a home in Israel, while 14,819 came to the rabbinate to divorce. The average number of persons in the Israeli household as of the past year is 3.32, while Israel has about 2,057,000 nuclear families. Regarding the level of religiosity, 44.3% define themselves as not religious or secular, 21.4% define themselves as traditional, not so religious, 12.3% define themselves as traditional-religious, 11.5% define themselves as religious, and 10.2% haredim. As of 2017, 175,000 teaching staff members are employed in the education system, compared with 170,000 in 2016. The rate of recruitment of new teaching staff is on the rise: from an average of 7,500 between 2008-2010 to 11,700 on average in 2017-2018. In 2015, 6,471 teaching staff members left the education system, compared to 5,059 in 2008. The average gross monthly wage is NIS 10,109 for Israeli workers and 5,928 for foreign workers, and the average weekly hours are 36.2 hours. The largest sector for employed persons is the education system, with 471,000 workers, followed by 431,000 workers in wholesale and retail fields and vehicle repairs and 690,000 sales and service workers.